I mentioned a few blogs ago about our plan to update our kitchen to increase and optimize the storage space. After over a month of having cabinets and pot racks cluttering up our dinning room, this project is finally done. It took a lot of coordination for all the moving pieces to come together, but in the end, it was worth it. 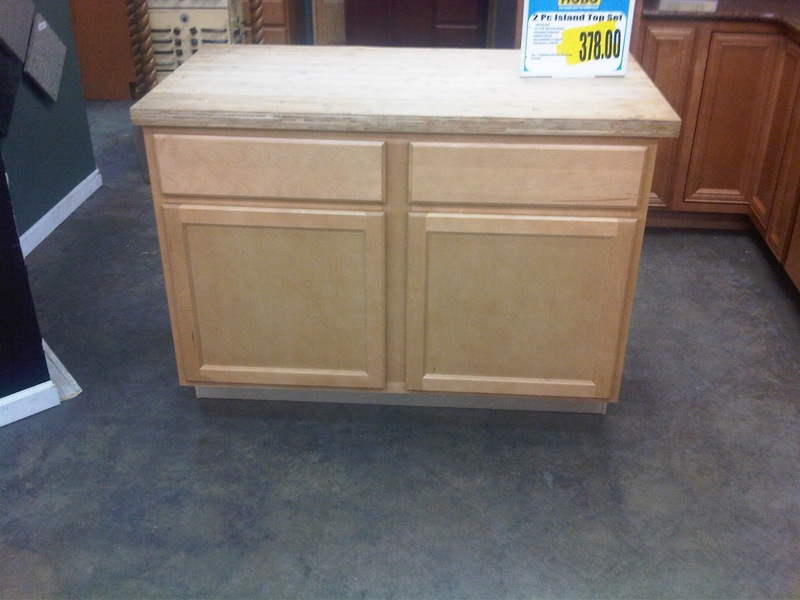 Originally we were going to build our own island using base cabinets and find a cheap piece of discontinued or slightly damaged granite for the top. Instead we found an already built island and butcher block top at HOBO for much less (~$400) than we could build. 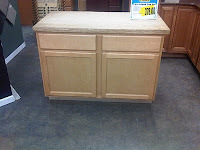 While at HOBO we found that we could buy a cabinet for the unused space for about $100. But the question was, how to best optimize the space, server our current needs and possibly help our resale value at some future point. The answer of course was wine rack! If we wanted a bigger cabinet it would cost more money and we were trying to keep this project at a reasonable cost. As luck would have it, HOBO had some stock cabinet and wine racks that came very close to matching my current kitchen. Next came the appliances. My old appliances are at least 10 years old. They might last another 10 years or they may fail one by one over the next decade, requiring replacing. We decided that updating them served several purposes. First, we have new, pretty looking stainless steel appliances that potential buyers desire. Second, we have more updated appliances that are better functioning than their decade old counterparts. Finally, we rationalized that if we are gonna be stuck here for a long time, we might as well make the best of it. After researching appliances and costs, I learned that the Big Box stores all delivered for free and most did the free hall away too because they do this. But they all charged a premium for installation. For instance, the cost to install the microhood is about the cost of the microhood. Of course once I saw what was involved with installing a microhood I realized why it cost so much and is worth every penny. After comparing all the Big Box stores deals on appliances, I determined that the package deal at ABT was our best option. I also figured they were likely to have a good President's Day Sale. Of course when we went and saw the appliance packages, we realized that we wanted better. So you could call it the ole bait and switch except no one forced us to upgrade our appliances and the sales person did not try to pressure us in any way. He did put together a wonder quartet of refrigerators, dishwasher, stove and microhood that wasn't at the low end of quality (or price) but wasn't at the extreme high end either. We got a solid dish washer, an awesome stove, a decent microwave and as an unexpected bonus, a french door refrigerator.